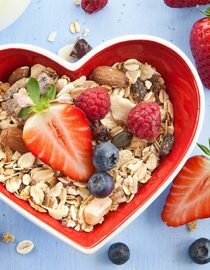 The American Heart Association insists that inflammation is at the center of cardiovascular disease: certain genetic, environmental, and lifestyle factors can injure and inflame the heart and blood vessels, causing a build-up of plaque in the arteries (atherosclerosis), which will increase your chance of heart attack and stroke. Since psoriasis (and all its myriad symptoms) stems from an inflammatory response of the immune system, many experts believe that this inflammation can raise the risk of serious heart problems in patients. One important point about statistics is that they are averages – not every psoriasis patient will have precisely the same risk for developing a heart condition. For instance, researchers found that younger psoriasis sufferers (those under the age of 60) were the most likely to suffer from cardiovascular issues down the road, while the patients with mild psoriasis may actually be at a higher risk of stroke than other patients. You might also like...What Are the Effects of Psoriasis? Although the autoimmune disease itself seems to have a strong impact on your cardiovascular health, other genetic and lifestyle components contribute to your risk of heart disease, as well. This means that, while you can’t control all of your risk factors, you can certainly minimize some of them. The effect of obesity on heart health is well-documented: carrying too much extra weight puts a dangerous strain on the heart, arteries, and your entire circulatory system. The link between psoriasis and obesity is not as widely known, but just as important. In fact, psoriasis patients are more likely to be obese than those without the skin disorder, although it’s unclear whether obesity causes psoriasis outbreaks, or psoriasis (and the lifestyle limitations that it brings) lead to obesity. What does this mean for psoriasis and weight management? Well, experts can certainly agree on one fact: losing weight can ease psoriasis symptoms, sometimes significantly, and maintaining a healthy weight should play a central role in any psoriasis management plan. Since obesity also directly contributes to cardiovascular damage, getting your weight under control can be a huge step to lowering your heart disease risk when you live with psoriasis. Next page: steps to better heart health. You might also like...Can the Soap I Use Help?